Napa Valley’s more than 400 wineries make the world-renowned stretch of wine country the ideal place for a romantic getaway. Whether it’s sipping wine at a tasting room or wandering through downtown Napa on the Napa ARTwalk, opportunities for romance are easy to find. But where you stay while you’re in town with your sweetheart, is just as important as the romantic ways you spend your day. Napa Valley has more than 150 accommodations that should give you reason to get excited when you’re packing your bags. The Meritage Resort and Spa offers guests Tuscan-inspired lodging minutes from downtown Napa, but with so many amenities you might find it hard to leave. The Westin Verasa Napa has a name everyone trusts and is home to award winning La Toque restaurant. Brannan Cottage Inn is listed in the National Register of Historic Places, but with only six rooms, feeling like you have the place to yourself is the norm. 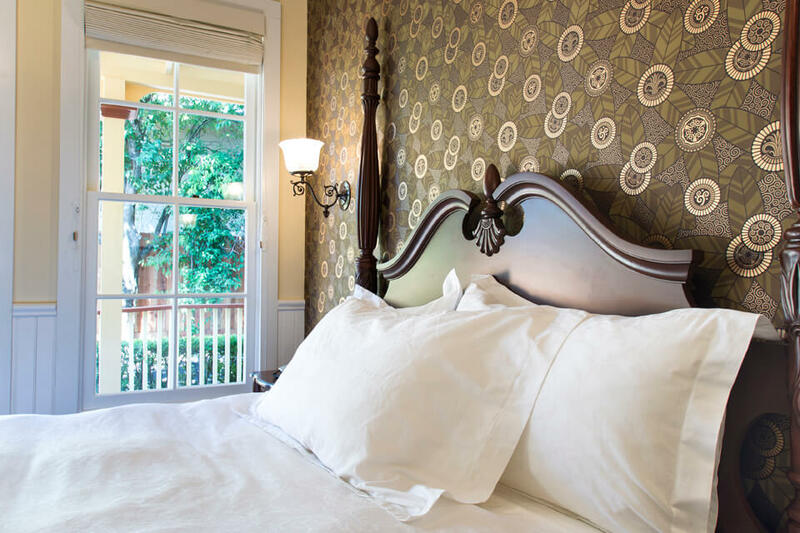 From large hotels and resorts, to small, country inns and bed and breakfasts, there’s a spot for every couple to get cozy in Napa Valley. With just six rooms, Brannan Cottage is a luxury inn that seamlessly blends its historic past with modern touches. 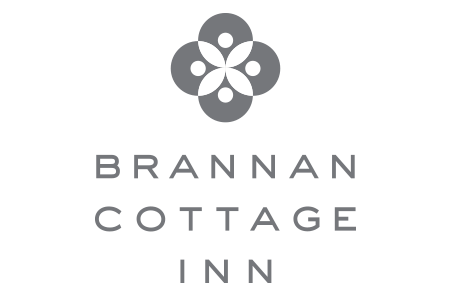 Listed on the National Register of Historic Places, Brannan Cottage Inn is the only 1860 Samuel Brannan resort cottage in its original Calistoga location. Lovingly restored, all rooms feature Frette duvet bedding and linens, heated tile bathroom floors and illy® Espresso. On Calistoga’s many sunny days, the cottage side yard is a nice spot to enjoy doing nothing but enjoy the 350 year old Siberian elm tree that towers above. Located just steps off of Lincoln Avenue, Brannan Cottage Inn is an ideal launching point to discover downtown Calistoga on foot.